The Sightmark 10x42LRF-A Solitude Laser Rangefinder Binocular combines a powerful optic with the functionality of an IR laser rangefinder to give you the ability to make detailed observations of distant subjects and the confidence to take the long shot. It further incorporates an inclinometer that measures the upward or downward angle relative to the target and displays, in yards or meters, an adjusted horizontal distance to improve first-shot accuracy. 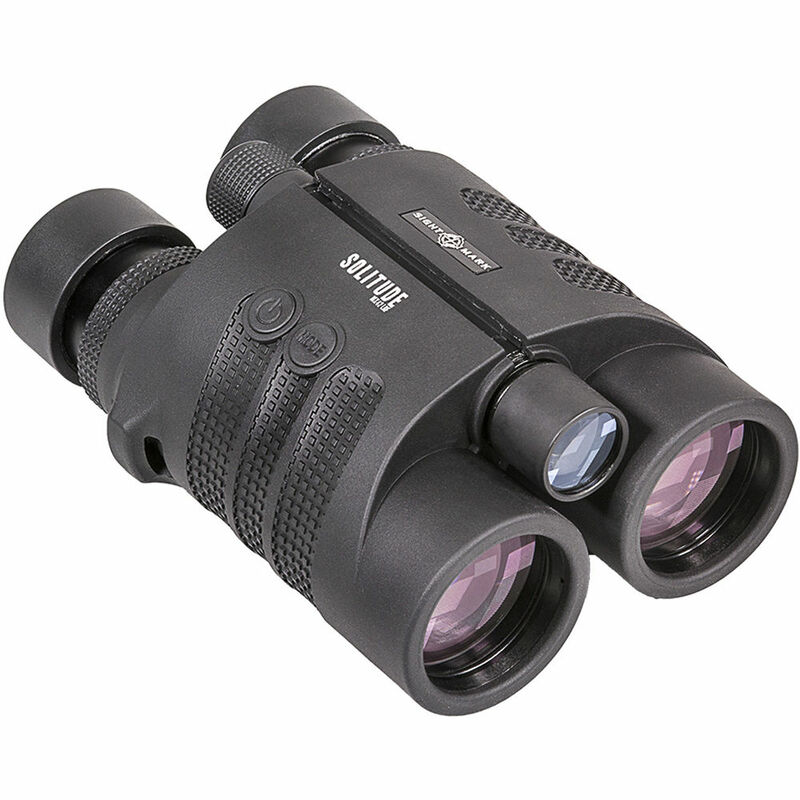 This binocular has anti-reflection fully multi-coated lenses and BAK4 roof prism that transmit bright color-faithful images with improved contrast and clarity from dawn to dusk. A nitrogen-filled and O-ring housing carries an IP67 rating to be dustproof, resistant to internal fogging, and waterproof to a depth of 3.3 feet. The optical tubes are wrapped in a slip-resistant rubber armor, with textured finder indents that ergonomically set the user's fingers naturally onto the two control buttons. Interpupillary Adjustment 58 to 72 mm / 2.2 to 2.8"
Box Dimensions (LxWxH) 7.7 x 6.6 x 3.45"